Spotted on my journey home from the Herbie Hancock gig (more on that later). 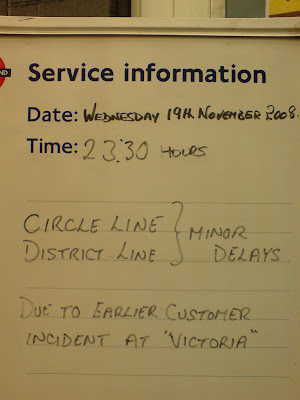 Seems they're certain there was a customer incident, but uncertain it was really Victoria. You know how those other stations are, always pretending to be the busiest station on the Underground.